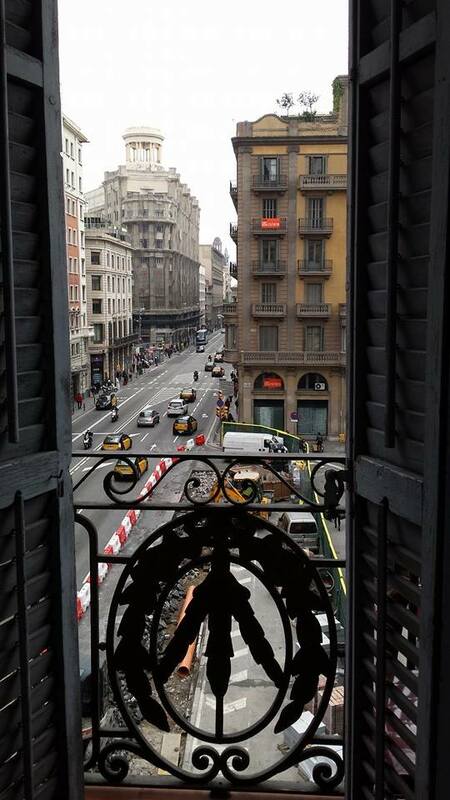 This weekend I was lucky enough to visit Barcelona for the second time in the past month. I am really lucky to live so close to the Spanish border! This trip was special because I got to spend the weekend with my boyfriend, James, who I had not seen for over 3 months and was therefore the first time seeing him since I started my Year Abroad. Luckily for him as I had already been to Barcelona recently, I knew my way around the city (more or less), had already sussed the metro system and was prepared with a list of places and restaurants where I wanted to take him. This time around was also quite different as I was the only Spanish-speaker in the group. Last time I was able to rely on my friends who are a million times better at speaking Spanish than me, so I would always let them do the talking if necessary. However, this time there was no hiding behind them and the majority of people I met preferred me to speak Spanish instead of English, so it was a great opportunity to get some practise in. 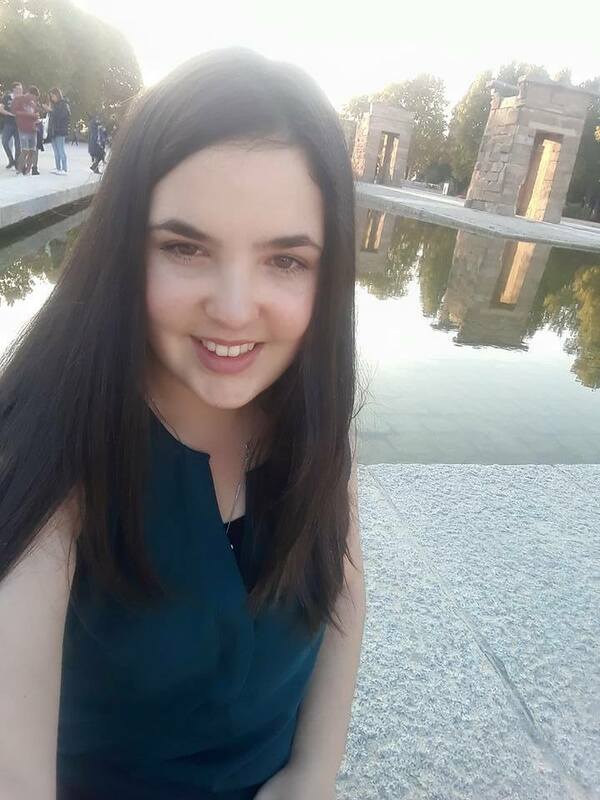 I managed to survive in all the converations I had and was understood, so I am sure I will be fine when I arrive in Salamanca, and will hopefully be more confident after living there for a few months! From checking-in at the hostel, ordering food, asking directions, asking to find a top in a different size in a clothes shop, it was a good weekend for my Spanish! After collecting James from the airport at 8pm we headed to La Plaza de Catalunya and got a bite to eat at 100 Montaditos. I have been there twice before, it is basically a very cheap fast-food outlet where you can get fast-food and drink cheap and there is a very lively atmosphere usually filled to the brim (as was the case this time). I got to make my order all in Spanish too and they ordered everything correctly this time. 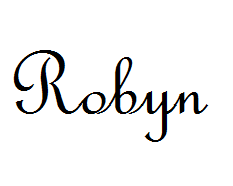 The server asks you for your name, for when you go to collect your order, and he was a bit baffled by how my name was ‘Robyn,’ as it is also only a boy’s name in Spain (just like France), but I am used to this moment of confusion on people’s faces now after spending 3 months in France. 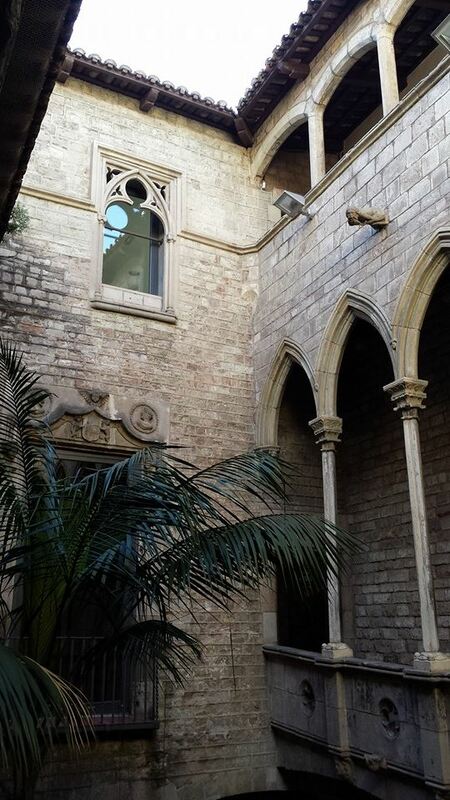 Our hostel was located in the Barri Gothic, perhaps my favourite area in Barcelona, due to its narrow streets filled with interesting shops that you can get lost in. We were not far from the cathedral, so that was our first stop on Saturday, before heading out for tapas at the same place I went the last time I was in Barcelona. Despite being very tired, we managed to make our way to the Picasso Museum, which I had been told was worth the visit, which was just around the corner. 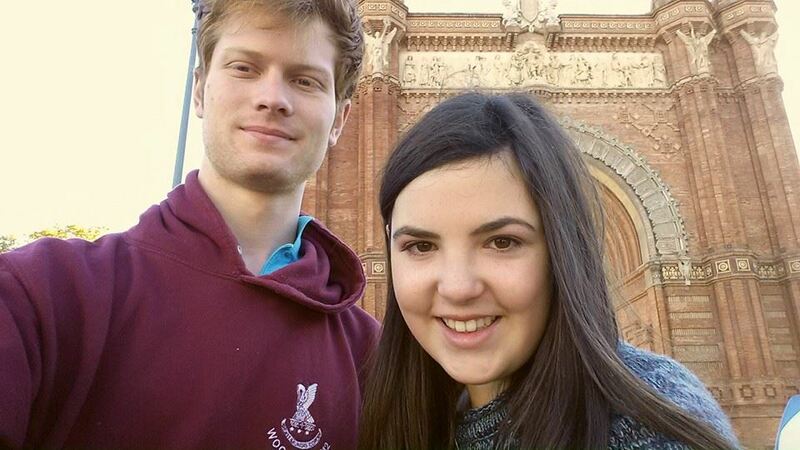 We were pleasantly surprised that it was free entry because we were students – finally somewhere free in Barcelona!! Interior of the Picasso Museum – muy bonito! The Picasso Museum is located in a beautiful building; it was very odd to go from one modern room just white plain walls, to the next which consisted of a fancy chandelier and beautiful decorations. After a bit of convincing, I plucked up the courage to ask in Spanish about the building’s former significance before it became a museum – apparently it used to belong to rich merchants who constructed them in the 13/14th centuries. It does not take long to walk around the permanent exhibition and a variety of Picasso’s works from various collections and points in his life are on display. The museum offers an audioguide for the price of €5 but we did not get one, however each room offers information in Spanish, Catalan and English which was very informative. As we visited out of season, it was not busy. In the evening, we went to Las Arenas, a shopping centre converted from a former bullring near La Plaza de Espanya and the Font màgica de Montjuïc (Magic Fountain); I love this type of development – making the most of current architecture and turning it into something quite unique, instead of it knocking down unnecessarily. Inside it there are a variety of shops, food outlets and a cinema. The rooftop is also open where you can get a great view of Barcelona, and this was also where we ate dinner that evening. Before dinner, we walked across the road to the Magic Fountain. We arrived just before the 7pm music and light show; times for the Magic Fountain vary according to the time of year. 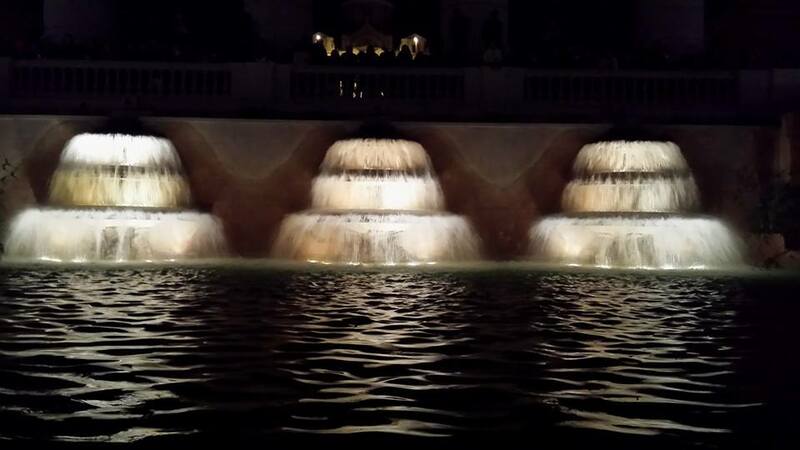 During the summer months the fountain is on every day until 11:30pm, however in the winter months it is usually only on during the weekend and ends at 9pm, so check the website before you go so you are not disappointed. 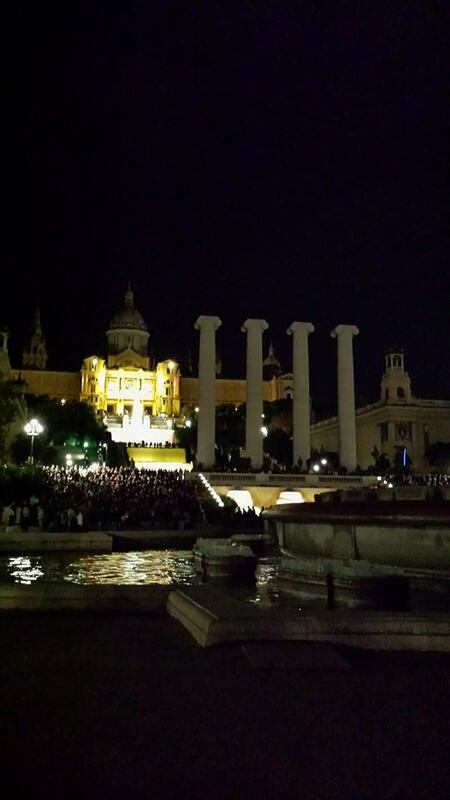 Yep, those are all people waiting to see the Magic Fountain on the steps! 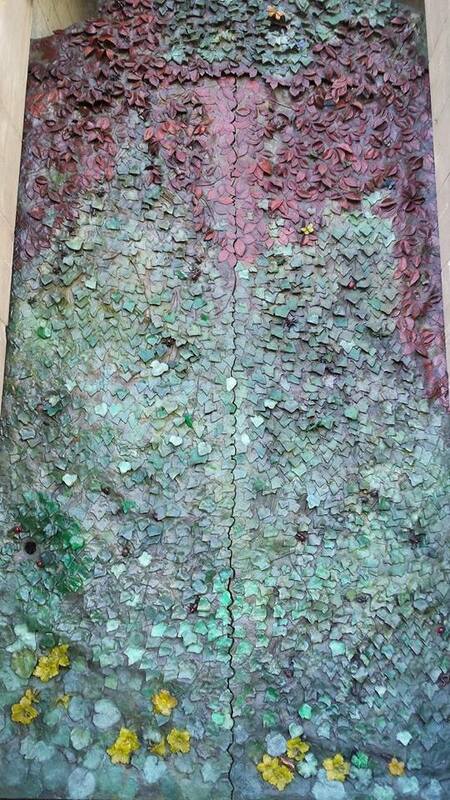 I was surprised to find that there were hundreds upon hundreds of people who had turned up to see the fountain! 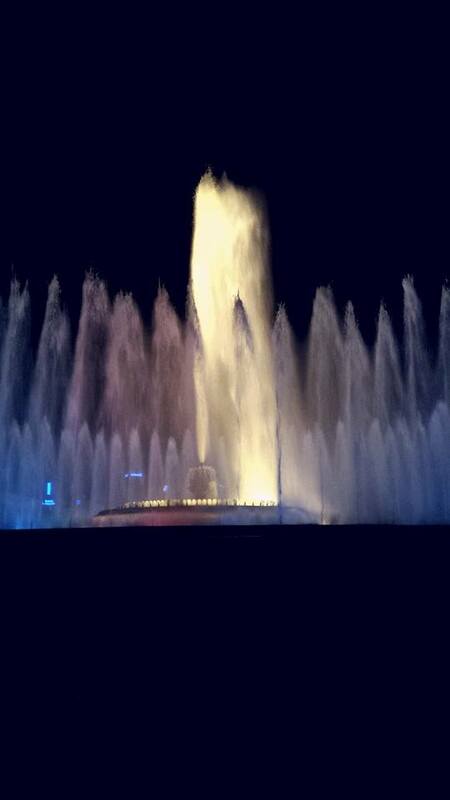 I went to see the Magic Fountain last time I was in Barcelona but we only managed to see the final 10 minutes of the show which was a shame. 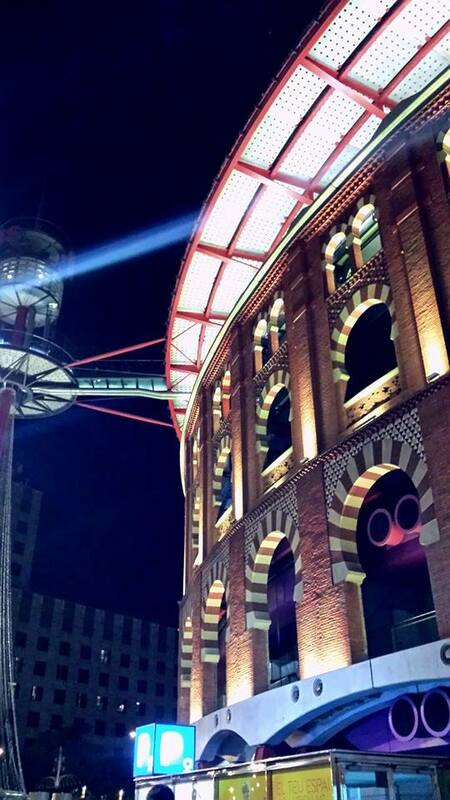 It’s a great thing to do during the evening if you find yourself in Barcelona, especially as it is free! 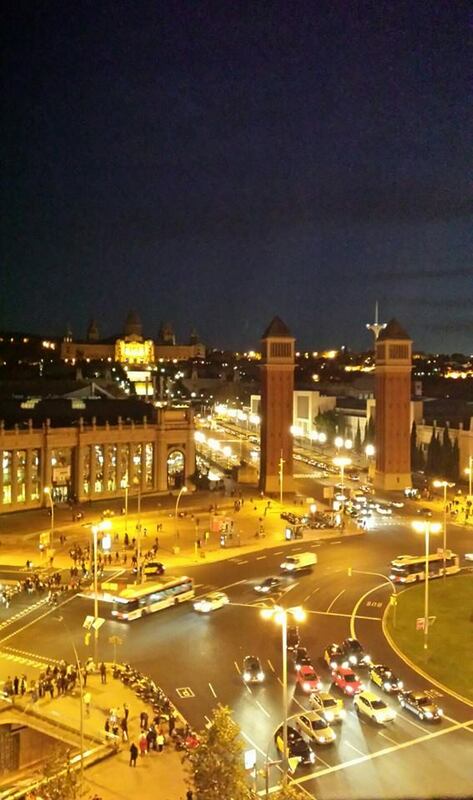 Don’t forget to climb up all the steps to the top by the museum for a great view of Barcelona at night as well. 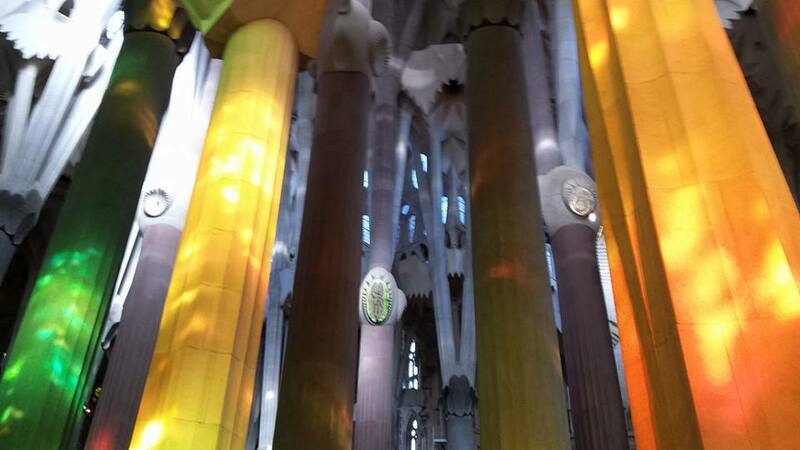 On the Sunday we went to the Sagrada Família at midday with our prepaid online tickets. I had already visited last time, but I was more than happy to go again as it is absolutely beautiful and I could not allow James to fly all the way to Barcelona and not see it! I especially love the interior and the stain-glass windows. 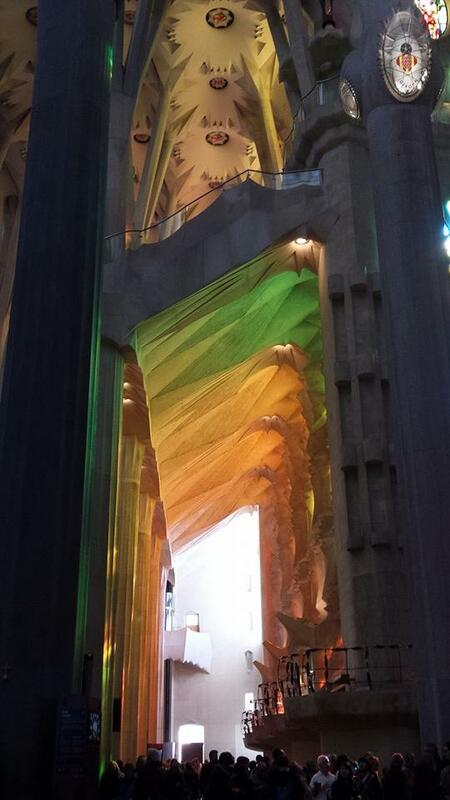 Light reflections from the stained-glass windows inside the Sagrada Família, Perfection! Light reflections from the stained-glass windows inside the Sagrada Família. Perfection! After trudging round a large area of Barcelona, we managed to find somewhere relatively affordable and interesting to eat, nearby to where we went the day before, near the Arc de Triomf. And soon we were collecting our bags from the hostel and there was a quick tearful good-bye at Sants station before I had to catch my train to Perpignan and James had to get his flight back to Manchester. After recently getting a new phone (a Samsung S4) after using my iPhone 4S for the last 2 and a bit years, I can now take all my pictures on my phone. The camera is really good quality and has great editing facilities and photo-taking options which are far better quality than my current camera. I’m quite made up with it as I specifically bought this phone for its camera. I still haven’t gotten round to fixing my main camera which broke all the way back in July in Kraków. Barcelona is an incredible city and there is so much on offer; rich in history, culture, great for shopping and atmosphere and on a plus note for me, I can get to grips with the language (okay. not Catalan but Spanish…). Yet in truth, it isn’t at the top of my list for places I have visited this year, maybe partly caused by just how expensive it is for tourists or how everything is not exactly all in walking distance. I have been priviledged enough to travel to so many places in the last 6 months: Wrocław, Warsaw and Kraków in Poland, a large part of Israel, a great chunk of the south of France and then Girona and Barcelona. If anything, my favourite city that I visited in 2014 would have to go to Kraków, hands down. I could talk for hours on reasons why it is an amazing place to visit: it’s very affordable for young travellers, so many things to do etc. but all I can say is go, and don’t just go for a weekend to see the Auschwitz concentration camp, the Salt Mines and leave for Budapest – yes, do all of those things as they are very much worth the visit( Auschwitz and the Salt Mines being the main reasons why I wanted to go to Kraków in the first place), but make sure you spend a bit longer in Kraków and take in what this beautiful city has to offer. I happily spent a week there but it could have been longer. 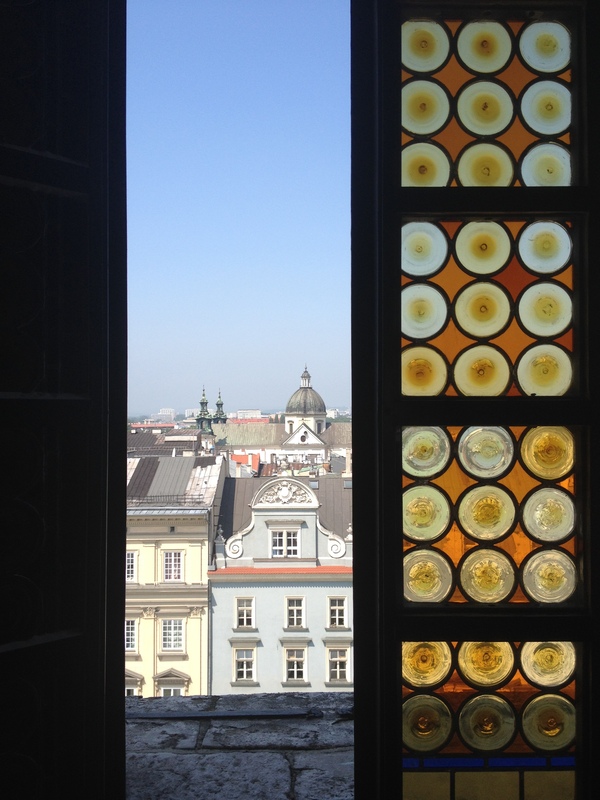 View from the Town Hall Tower, Kraków. Need I say more? Barcelona is still a great city, and I will be heading back there on the 19th December to catch my flight back home for Christmas. Although, I doubt I will be able to do any shopping or signtseeing there for the few hours I have spare before I need to head to the airport, as I will have two heavy suitcases and a rucksack in tow! 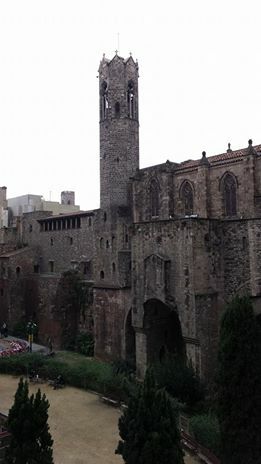 Have you visited Barcelona, what do you think? Or do you hope to go in the future? What is your favourite place that you have travelled to so far (in 2014)?